MAD's Kevin Shinick Talks Superior Carnage, Necessary Evil and...Booster Gold? 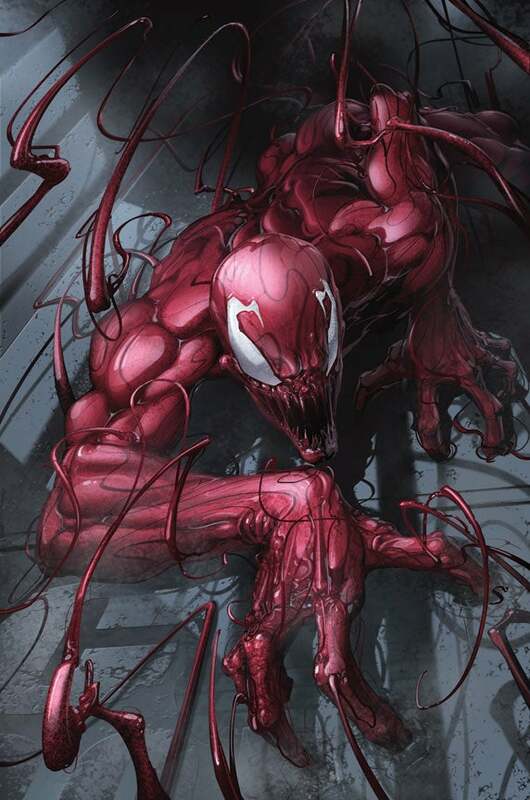 With rumors floating around the Internet today that Jim Carrey might be set to play Cletus Kasady, the serial killer who would eventually be come to known as Carnage, in The Amazing Spider-Man 2, we figured it was a good time to pull out our interview with Superior Carnage writer Kevin Shinick, which we had previously been holding onto until the next issue ran. Shinick joined ComicBook.com at San Diego Comic Con International to talk about his battery of projects--from MAD, the TV series for which he won an Emmy in 2010, and Robot Chicken (he worked on both of the DC Comics Specials) to his work in comics, where he's writing Superior Carnage. He also discussed contributing to DC Comics's Necessarily Evil documentary, which explores the company's villains, and shared some cool details about how he first got into comics. ComicBook.com: You don't do anything halfway, huh? The last time we talked, which was less than a year ago, you were just kind of wading into comics and now you're all over. Kevin Shinick: It seems to be, doesn't it? Last year it seemed like it was just a scheduling thing; I worked on a bunch of things over the year and then in September they all hit. But from that point on, it has been consistently busy. I'm not knocking it because I'm the one who brought it on. You know, I wanted it, I opened those doors and now the floodgates are just broken. ComicBook.com: What are your ongoing projects? Shinick: Well, first of all, MAD's my main gig and so that takes up most of my time and energy. I love it, it's a labor of love, and we're hitting our 100th episode this November. 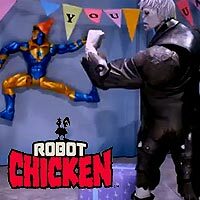 And I laugh because on Robot Chicken, it took us ten years to hit 100 episodes and here I am in the fourth season already hitting it, so they keep us on quite a tight schedule. 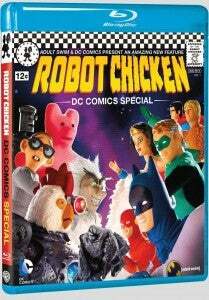 I just came off writing the second DC Comics Special for Robot Chicken. That was a blast--I laid down more voices, I returned as the Ted Knight narrator, I returned as Captain Cold and some other characters, which is fun. 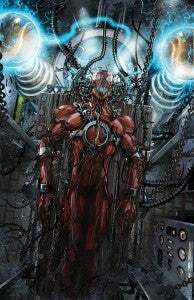 Then Marvel called not long after New York Comic Con and said, "Hey, would you be interested in taking on Carnage?" And I said, "Let me get back to you," because I really wanted it to be something that's worth doing, you know? I've read some Carnage--some I liked, some I didn't like, and I don't want to just do the same thing. So when I went back and pitched it to them, I said, "Hey, I have this idea, but I really want to be able to say 'Carnage like you've never seen him before' and mean it, not just a tagline." They really dug it, so I said great, and we went and now it's going to be a five-issue miniseries that will take us to the end of the year. ComicBook.com: What is the elevator pitch for Superior Carnage? Shinick: Okay, basically you know how they took Venom? The government took Venom and turned him into Agent Venom. Well, my idea is the villains get wind of this and they think, "Okay, well we can do it too, then. We'll take Carnage and we'll harness him for our benefit and we'll make him an agent of evil." The problem being that he's Carnage. You're not going to be able to subdue this guy easily, and I have--The Wizard, I'll say, in issue one is the guy who spearheads this. These guys aren't the A-listers for a reason. So I kind of like the idea that these guys who don't really know what they're doing are going to attempt to harness Carnage. But I do have to say that I do have jokes in it occasionally because it's what I do, but it's a departure from The Avenging Spider-Man tone that I did and it's more of a personal tone, to be honest. I kept saying that we've seen Carnage on a grand scale, we've seen him on a minimum scale, I wanted this to be more of a personal scale for all of the characters. And since it is Superior Carnage, not just Carnage but all of the characters deal with identity and defining who they are, wishing that maybe they were somebody else or getting back to what they used to be known for. So that's going to be the tone of the arc of the miniseries. ComicBook.com: What was your involvement with DC's new documentary, Necessary Evil? Shinick: I think because I'd written some Batman comics, Joker's Asylum and stuff, and I was coming off the Robot Chicken DC Comics Special, they thought I might be a good resource for talking about the villains. It's a great documentary and there have been documentaries about comic books in general and heroes and whatnot, but because everything's so big, you need to gloss over certain topics like just the villains. So it's nice that they have a whole documentary to themselves and not only that, but it's narrated by Christopher Lee, who's one of the great villains ever, so it just seems perfect. ComicBook.com: Did you try to pitch anything for DC's villains' month? It seems like it's really exactly suited to what you're doing these days! Shinick: It does! I didn't because my plate was so full that I thought, at some point I'm going to be responsible for taking on too much and I always want to do the best I can with all of these jobs and sometimes when they come to me, I have to responsibly say "I'm doing too much right now, or I'm doing just enough," so that's why I didn't pitch anything. ComicBook.com: You did the thing with Booster Gold that never saw the light of day--are we going to get any Booster Gold this time around? Shinick: I forget if I told you ages ago, but my spec script to get into comics was Booster Gold. I love the character, and it was Geoff Johns who got the ball rolling for me with comics for me. He said, "You should write comics. I think of you and I think of Booster Gold." I said I'd always loved him so I wrote this spec script and I gave it to Geoff and he loved it and that's what precipitated him saying, "Yeah, let me hook you up with DC." Sadly I didn't get to do Booster but I was able to do Batman right out of the gate so I can't complain about that. 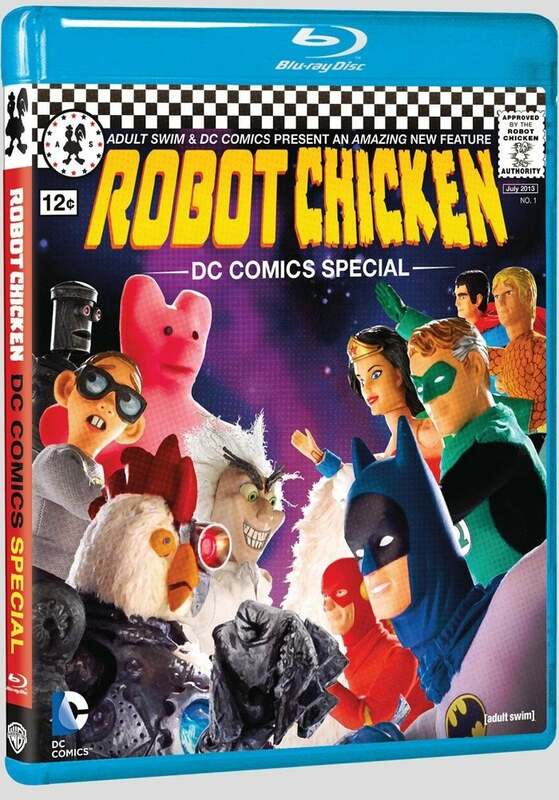 ComicBook.com: Well, I meant on the Robot Chicken special, but that was awesome trivia to get by coincidence! Shinick: Oh yeah! I was Booster Gold in the Special, too. I forgot. I was disappointed to see him cut from that. It was going back in time to kill Hitler--there was a whole scene that I recorded as Booster Gold that didn't make it, I'm sorry to say.